The Countertop Model Single Pocket Full-Page Brochure Holder is a classic size with many applications. 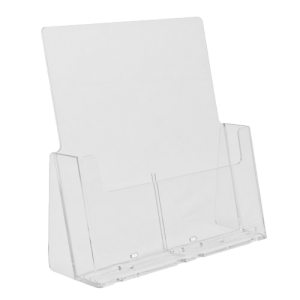 Counter top, free standing literature holder with standard extra features for material up to 9” wide. 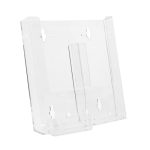 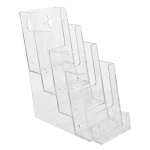 All our brochure holders are engineered for strength and value. 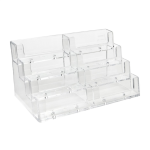 Optically clear to provide a perfect counter display for full size copy. 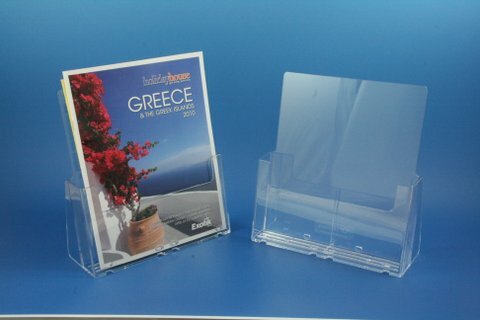 An excellent display for 8 1/2'' x 11'' materials: thin booklets, realtor feature sheets, travel brochures, office organization, magazines and weekly publications. 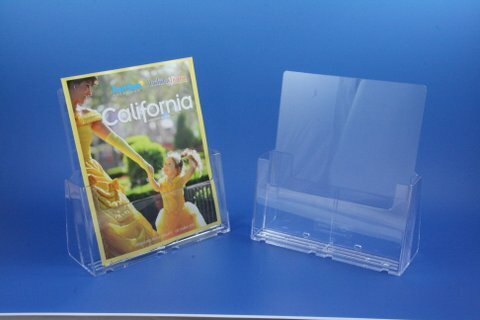 Realtors, concierge desks, lobbies, libraries, museums, institutions, schools, or hospitals.